Here are the top-ten machines of 2018. 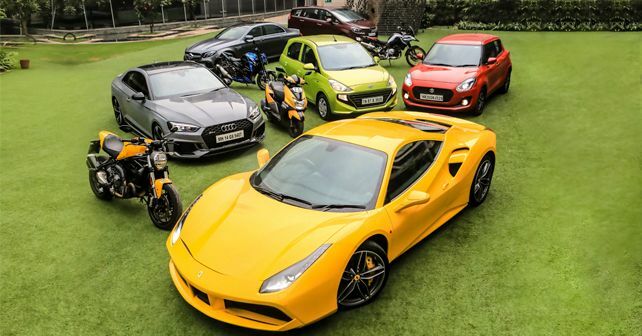 60 machines – everything from the Audi RS 5 to the Mahindra Marazzo on the four-wheel front, and the BMW F 850 GS to the TVS NTorq 125 on the two-wheel front – battled it out to be crowned the ‘Best of 2018,’ an accolade reserved only for the absolute best of the year. The top-ten! Each of these machines proved their mettle at the Buddh International Circuit, as they were evaluated by our experienced team of road testers – who rate each machine out of a total score of 100 for quality, practicality, drivetrain, design, value-for-money, ride-and-handling, and much more. You can see the full test in our 12th anniversary issue last month or on our website – autox.com – where we’ve rated all the contenders in the most transparent and objective way possible. We take great pride in publishing the points of our annual ratings, so you know exactly who’s being awarded what – and why. The awards are reserved for just six four-wheelers and four two-wheelers. Needless to say, these deserving machines are as diverse as they are exceptional. On the two wheel front, the top-three are the BMW F 850 GS, TVS NTorq, Suzuki GSX-S750, and the Ducati Monster 821, which is the Performance Bike of the Year. In this issue, not only do we present the ‘Best of 2018’ awards to these worthy recipients, but also sit down with their top managements in a couple of high-level panel discussions to get a sense of just what it takes to succeed in the Indian market.